This eyelash serum is closed in a silver bottle that is available in two versions: 3,2 ml and 6 ml. Neulash consists of many vitamins and nourishing substances that are responsible for eyelash extension, moisturization and care. What is more, due to the composition, eyelashes gain attractive gloss. Basically, the eyelash serum is recommended for people who have short, weak, thin and falling-out eyelashes. What makes Neulash eyelash serum stand out from other similar products is its moisturizing properties. The truth is the right level of hydration influences the condition and look of eyelashes, which in turn affects their growth and thickening. Throughout the course of the treatment, eyelashes become flexible, soft, and sleek. Furthermore, B7 vitamin is able to strengthen eyelashes from the inside, and at the same time, safeguarding these from damages. Neulash has to be applied every evening. 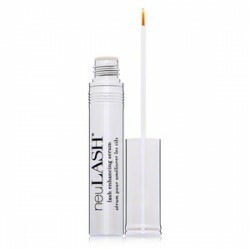 The general rule of using the product: use a brush provided to put on Neulash on upper eyelash base regularly until the looked-for results are obtained. Then, the cosmetic can be applied every few days. The moment one experiences tingling sensation, the product has to be applied every other day. Obviously, Neulash should not be put into eyes in order to avoid irritations. The first effects are generated after more or less a month of reural treatment, whereas eyelash extension and general condition improvement can be observed after two months. Lashes become stronger, regenerated, and rebuilt. Neulash contains (except growth stimulating substances) natural ingredients such as pumpkin seed extract, soya oil, glycerine, and lecithin.